Allow the Kate Spade New York® Polly Medium Camera Bag to be your chic go-to! Camera bag made of leather. Brand logo hardware at front and foil embossed brand name at back. Lined interior features back-wall slip and zip pockets. 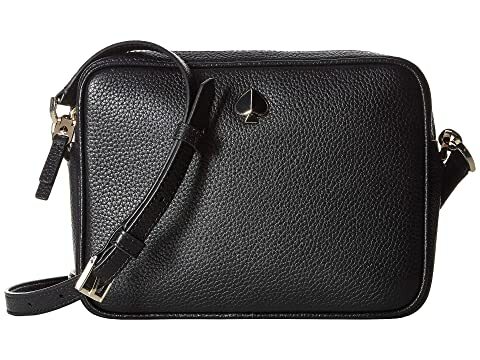 We can't currently find any similar items for the Polly Medium Camera Bag by Kate Spade New York. Sorry!